* Maximum temperatures show a clear warming trend since the 1970s. * The frequency of hot days (above the 90th percentile) has increased. 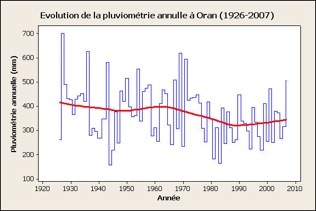 * Total annual rainfall has decreased since the mid 1970s, and a marked seasonal shift has been observed in daily rain occurrence.